I've always wanted to be one of those people who could eat healthy and well. And I have tried. Don't get me wrong, I love snacking on grapes or carrots, but I also love a nice big meal that I can enjoy, not to mention my huge sweet tooth. I've also had no motivation in the past, until Waitrose got in touch and asked me to take part in a food swap, where I swap out my junk food for stuff that's a bit healthier. They even helped by getting a nutritionist involved. 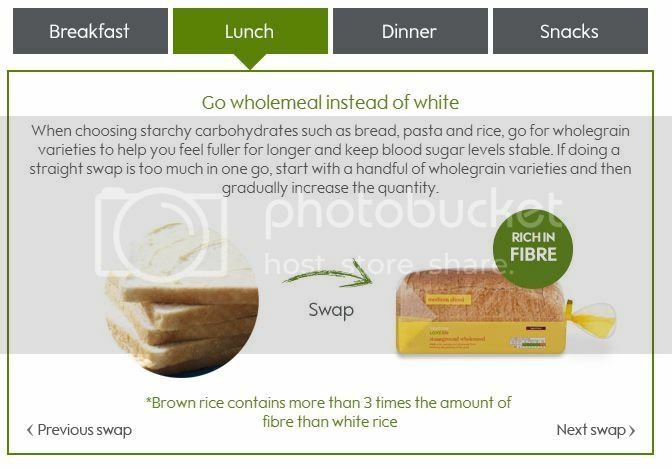 This is to tie in with the latest online app from Waitrose: their Food Swap. This is a great little app and offers some great healthy alternatives for what you're already eating. While I have a habit of skipping lunch or dinner if I'm out or busy, I will never skip breakfast. Ever. Most days, it's the only thing that gets me out of bed in the morning. Before work, I always like to start the day with an egg and some white toast. As a fact, wholemeal bread is much healthier, so I've switched it up and gone a few days with brown bread, and I've been feeling loads better. As per the nutritionists advice, I was also told to add some fruit. I actually really like fruits, so I've been picking up one of these everyday. 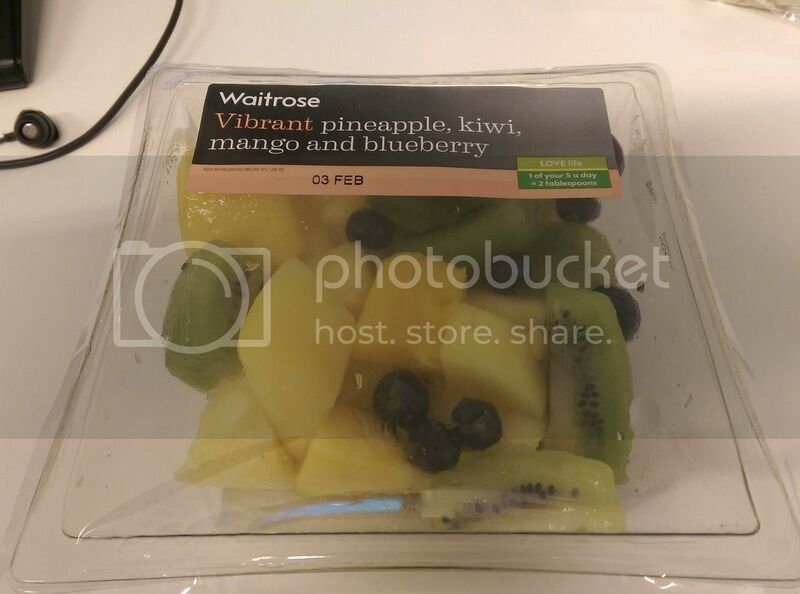 Waitrose do these amazing little bowls of fruit, in lots of different varieties. So I've been picking up different ones over the last few days, and leave them at my desk so I can nibble at them over the course of the morning. As I said, these two meals aren't as important. Dinner is what my mum has made, while lunch the next day is leftovers. Except for when I decide to splurge instead, and end up in one of the super unhealthy places around my work. A lot of my meals consist of a lot of carbs. Chances are I'm probably eating either potatoes or pasta. I was recommended adding in two portions of fish into my week and I've just started doing this. Obviously I guessed McDonalds Fillet-O-Fish didn't count, but I did take a trip to Waitrose and discovered all their range of salmon. I do occasionally pick out a smoked salmon sandwich for lunch, but never quite knew the benefits, or that there were different ways to eat them, until now. I've been buying strips and putting them in the frying pan as a nice little treat in the evenings. I can't wait to learn how to do more with it. As predicted, this is what I struggled with swapping the most. My desk at work is pretty renowned for its content. It's always stocked with various chocolates, crisps and other little treats to help us get through the day. I knew it was going to be hard to swap them out for something healthy. 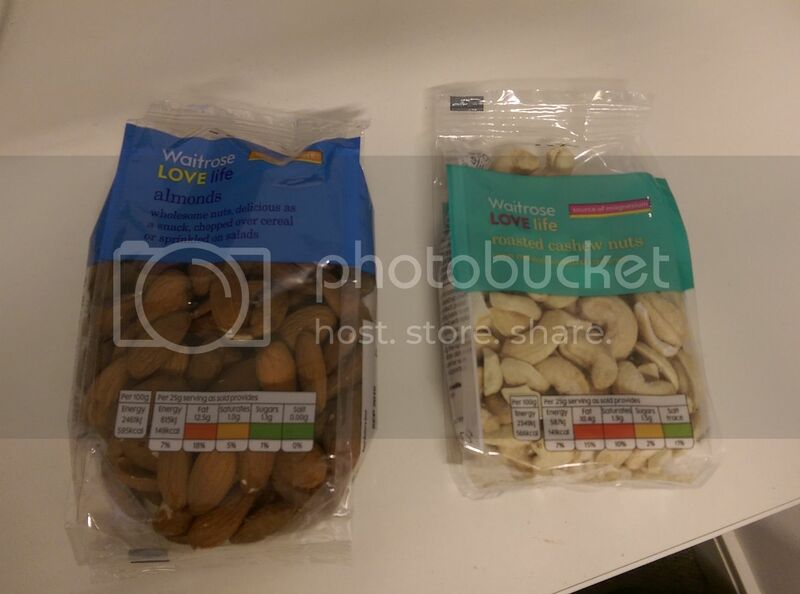 Luckily, Waitrose has a great selection of nuts. I've stocked my drawer with these and cut back on the sweets and I'm actually really enjoying the change. I feel less guilty and haven't been going on 3pm cookie binges. Almonds, cashews and pine nuts are officially my new favourite snacks. It gives me my mid afternoon boost is a healthy way. I am definitely all over this eating healthier thing. It makes me feel a lot better about myself and my skin is looking a lot better. It's always interesting to see what a difference a small change can make. I don't think I'll ever give up on chocolate though! The nuts and fruit look incredible - what a fun new app! Eating healthy can be such a challenge - especially when you work in an office surrounded by so many restaurants and with a drawer that is perfect for stashing work snacks. Good for you for making healthy changes! Really interesting. healthy eating is so hard. I always fail but do want to try again.